So how much does leaflet distribution cost? On average, you can expect the cost of distribution to be £30-£85 per every 1000 leaflets which entirely depends on the distribution method, size, and weight of the leaflets (shared or solus). It is important to know that the price will vary as well, depending on the type of leaflet distributed. For example, the cost of distributing a brochure, a pamphlet or a flyer will tend to vary due to their overall size and bulkiness. #1-Leaflet Distribution Cost – Based on Size of Your Leaflet. So how much does it cost to distribute 1000 A3 leaflets? The average cost of distributing an A3 leaflet ranges from £55-£85 per every 1000 leaflets. An A3 leaflet or flyer will measure42 x 29.7 cm or 420 x 297 mm. An A3 leaflet can be transformed into invitations or information handout that is fun, creative and classy due to its different folding options. For example, when you are intending to invest in a large number of leaflets and flyers in advertising on specific neighborhoods and businesses, then an A4 leaflet is the best. When you are running on a tight budget and do not want to produce hundreds or thousands of leaflets, the best option would be to print a smaller amount and use them strategically. This involves handing them directly after conversing with the customers or mailing them to your potential customers. There are other special ways you can use the A3 flyer to your advantage. Make sure when handing them out in stores or public places there is a discount service or a free offer. You can use them as restaurant menus, when looking for a missing pet or when advertising for an upcoming theatre or a music event. Regardless of the purpose, it is important to create a poster that will attract people’s attention to the core of the message. The flyer should be appealing to your target audience especially when the design used is unique and unforgettable. So how much does it cost to distribute an A4 leaflet? The average cost of distributing an A4 leaflet ranges from £50-£85 per every 1000 leaflets. If a folded brochure does not fit the bill and the A5 seems not to offer the desired space to get your message across, the majority of people will go for the A4 leaflet. Most of the A4 leaflets are used for restaurant menus, as data sheets, as folder inserts, as price lists or questionnaires. This information is vital when strategically distributing A4 leaflets. The most common way of distributing A4 flyers is by hand. Sometimes it is done through mail or through flyer dispensers. Due to their relatively large size, they can be put onto street posts because they are visible enough. A typical A4 leaflet is half as large as an A3 leaflet and twice as large as an A5 leaflet. The A4 has been listed as an ISO 216 paper size. Its dimensions measure 21 x 29.7 cm, 210 x 297 mm or 8.267 x 11.692 inches. So how much does it cost to distribute an A5 leaflet? The average cost of distributing an A5 leaflet ranges from £30-£85 per every 1000 leaflets. Again, depending on the distribution type; shared will be a lot cheaper than solus. An A5 leaflet is half the size of a standard letter, which offers plenty of space to put lots of graphics and information. There are small enough to fit in pockets and bags, therefore, it can serve as a reminder because clients can carry them around. It is the best size for events and restaurant promotions or when giving special offers at retail stores. Printing and distributing an A5 leaflet is the best option when you need cost-efficient advertisement with a highbred of space. When compared to the cost of printing and distributing an A4, you spend less on each leaflet. The small A5 size does not limit the available options, for example, when distributing you have to consider they are commonly used in the general business, in promotional offers, in folder inserts or in passing tourism information. The A5 leaflet is flexible because it can sometimes be used as a business card when your services or products needs some extra attention. This allows the company to show in details of what it has to offer to make it ahead of its competitors. The A5 leaflet will allow you to target potential clients and customers before pulling them further for more information such as linking them with the company’s website or an upcoming promotion. An A5 leaflet doubles the size of an A6 leaflet. However, it is half the size of an A4 leaflet. It measures 14.8 x 21 cm, 148 x 210 mm, 5.826 x 8.267 inches. So how much does it cost to distribute an A6 leaflet? The average cost of distributing an A4 leaflet ranges from £35-£80 per every 1000 leaflets. An A6 leaflet is always the best bet when you have a small budget and you want to a big audience. Since the A6 leaflet is nearly a quarter of the standard letter, you are likely to get more for your money which increases the chances of getting more A6 flyers to your target audience. As much as an A6 would not give you sufficient space to include a variety of images, you still have room to fit small graphics around your text like a street map to your location, your logo or personal photo. All the A6 leaflets are big enough to include sufficient content and small enough to fit in pockets or bags during distributions. It is best when you need smaller leaflets that based on texts, although you can include some graphics. They are easy to spread using any distribution method, through a dispenser, by hand, through the mail or any other way that you can imagine. They conserve a lot of space, therefore, they can be distributed easily in high volume. A typical A6 leaflet is twice the size of an A7 and half the size of an A5. Its dimensions are the same as that of a standard postcard. It has the following imperial dimensions, 10.5 x 14.8 cm, 4.13 x 5.83 inches, 105 x 148 mm. So how much does it cost to distribute an A4 leaflet? The average cost of distributing an A4 leaflet ranges from £35-£80 per every 1000 leaflets. An A7 leaflet is bigger than the standard business card size in the UK. This makes it somehow limited to be used only as a business card because it is not large enough to include influential images. For this reason, the A7 is commonly used as business cards due to their prominent size that sticks out from the other standard sized cards. Typically, the A7 leaflet is half the size of an A6 leaflet. Its dimensions in terms of metric and imperial forms are 7.4 x 10.5 cm, 2.9 x 4.1 inches and 74 x 105 mm. Weight determines the price of distribution, in that, the heavier the leaflet the more the cost of distribution. The table below will show how the cost of distribution is spread across different weights. The price is for 1000 leaflets distributed. #2-Factors to consider when choosing a distribution service. The geographical distribution matters a lot because the method selected should cover the regions intended. For example, when running an international company it is important you can choose direct mailing over door drop because it is a cheaper and efficient way of delivering leaflets to different parts of the world. 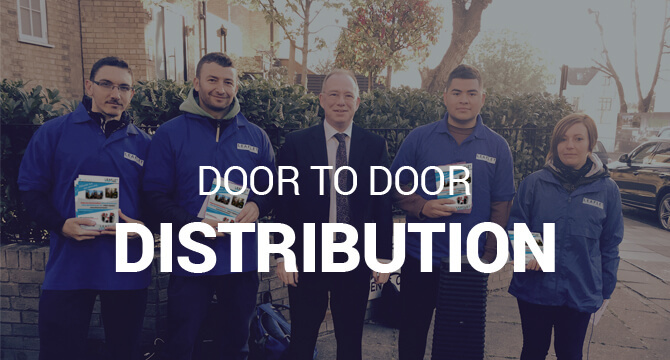 If you have sufficient manpower to distribute your leaflet, then you can go for the door to door distribution method which can give you a competitive advantage over your competitors. Each distribution method comes with at a different cost. For example, shared and newspaper distribution are usually the cheapest but have a lower response rate. On the other hand, solus distribution is more expensive with a higher response rate. It is crucial that you select the method of distribution after reviewing your budget and what you would want to achieve. Why has leaflet distribution the ideal method for marketing? Leaflet distribution allows for selected demographics which sends an appropriate message to the target audience. It is somehow convenient as well because it can be directed to reach your customers in their homes at an affordable cost. Do people still prefer using leaflet distribution to social media status and E-mails? Yes, because leaflets are not easily ignored due to their attractiveness. Social status can easily be ignored while e-mails are usually deleted when the receiver does not know the origin.